With just four ingredients and a blender or food processor, you can make this delicious strawberry ice cream. If you don’t have a good food processor or high-end blender, you may need to use the whole can of sweetened, condensed milk and the consistency won’t be as thick unless you freeze it before eating it. It’ll still taste fantastic, though. 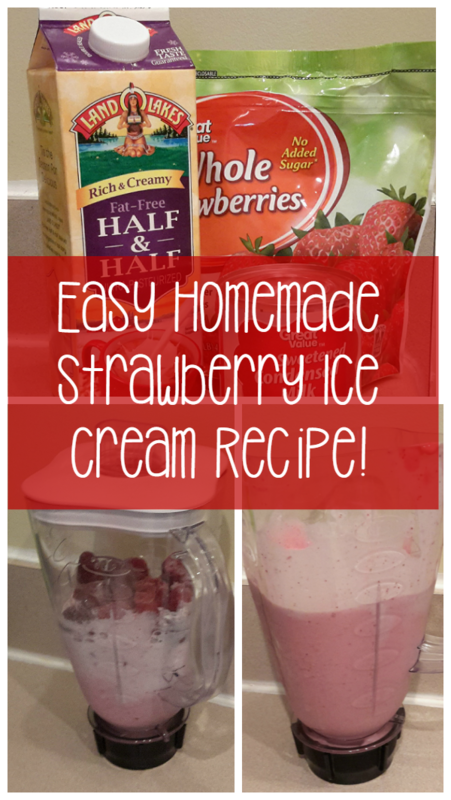 This strawberry ice cream recipe is a great way to get fruit into your kids since it calls for real frozen strawberries. You don’t have to reveal that your secret ice cream recipe includes actual fruit. The ice cream tastes best right out of the blender or food processor. You probably won’t have any leftovers, but if you do, you can store them for several days in the freezer. Blend or process all ingredients on low to crush the strawberries, then turn to high for about two minutes or as long as it takes for the mixture to become smooth. It may need a shorter or longer time, depending on your equipment. Add more sweetened, condensed milk if necessary. 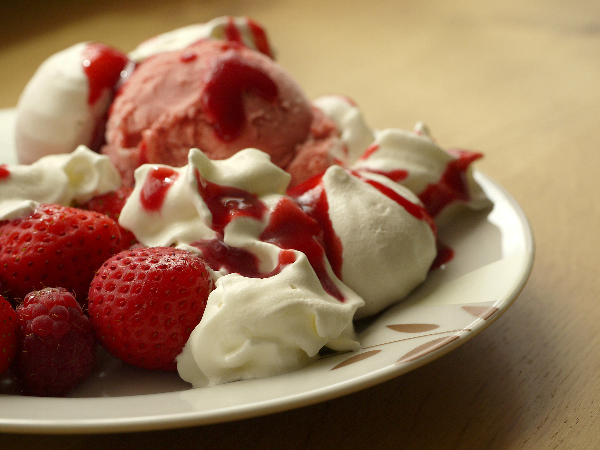 If desired, garnish your strawberry ice cream with real strawberries and/or whipped cream.